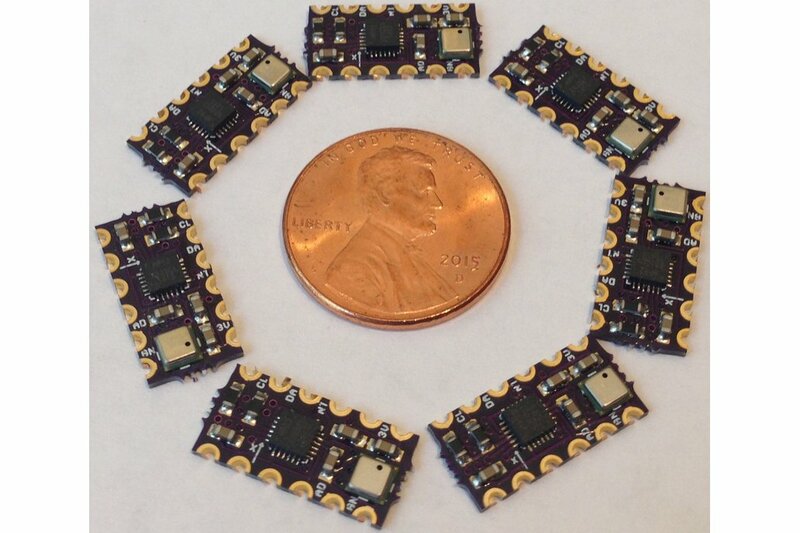 MPU9250 micro add-on now on 0.8-mm-thick PCB for easier flush mounting! 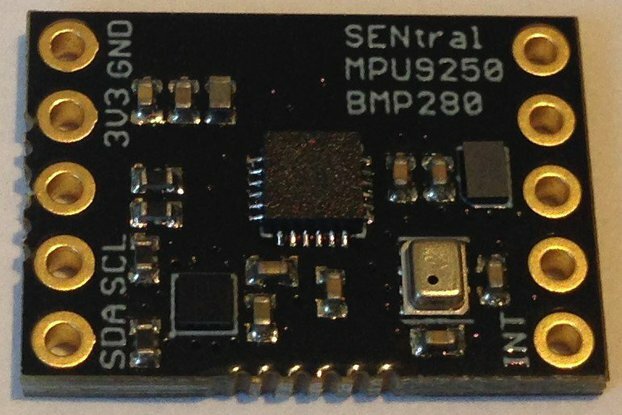 The MPU9250 is a 9-axis motion sensor by Invensense with 16-bit resolution for the accelerometer, gyroscope, and magnetometer in a small 3 mm x 3 mm package. Coupled with the similarly small (3 mm x 3 mm) Measurement Specialties MS5637 24-bit pressure sensor/altimeter, and open-source Madgwick and Mahony sensor fusion filtering, this sensor solution offers 10 degrees of freedom, absolute orientation with quaternion, rotation matrix, and pitch/roll/yaw output. I have created two small pc boards as add-ons to the Teensy 3.1 microcontroller, whose powerful Cortex M4 processor running at 24/48/96 MHz can easily deliver 9 DoF sensor fusion filter update rates above 1000 Hz. 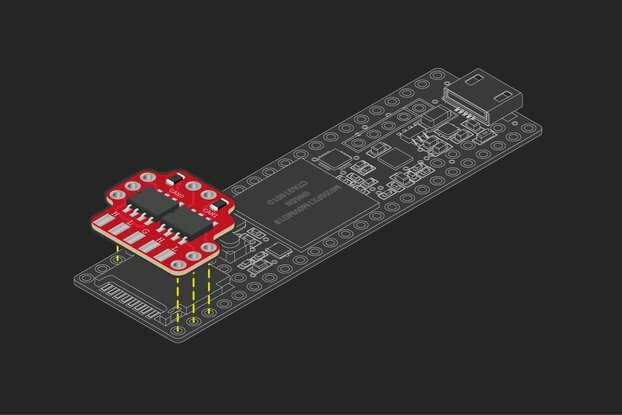 There are two sizes of board for mounting on different pins of the Teensy 3.1. 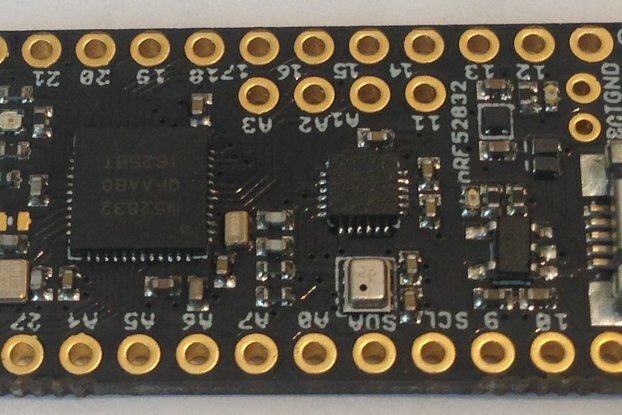 The Mini board can be soldered to pins 8 - 17 and utilize power and ground at the end of the Teensy 3.1. The Micro board can be soldered to the pads on the bottom of the Teensy 3.1 which are rarely used, or at least are out of the way. This allows sophisticated sensor fusion with plenty of pins left over on the microcontroller for power management, RF radio or bluetooth smart, or motor control shields, etc. There are only pins broken out for 3.3 V and GND, SDA and SCL, and one interrupt. On the Micro Add-On there is additionally a pin for toggling the device address (ADO) in case a second MPU9250 is to be added to the Teensy 3.1 I2C line. The boards are hardwired for I2C; even though the MPU9250 can use SPI communication, I purposely chose to hardwire the MPU9250 for I2C and chose an I2C-only pressure sensor because I wanted to minimize the number of pins taken up by this 9 DoF sensor solution. Also, there are no hardware SPI pins on the bottom pads, and I wanted some commonality between the two boards. Lastly, I designed the Mini Add-On so as to leave the hardware SPI pins free so other boards that absolutely require hardware SPI like RF radios or bluetooth smart could make use of them. With fast I2C (400 kHz), the sensor fusion filter rates are well above 1 KHz; this is plenty fast for all but the most demanding motion sensing and control applications. Note: The micro board has the 4K7 pullups in the circuit by default whereas the mini (larger) board has solder jumpers for selecting whether to connect the 4K7 pullup resistors to the circuit. The solder jumper is useful if the mini breakout board will be used with other I2C devices that already have a pullup resistor in place, or if using with a microcontroller with internal pullups (the Teensy 3.1 has none). For I2C, one pullup on each of the SDA/SCL lines is enough; more than one is too much. The reason there is no choice on the micro is because there is no room for a solder jumper. So if you don't want pullups on the micro you are going to have to remove the two resistors with a soldering iron; a feat much easier to accomplish than manually placing them there in the first place. If you are using the mini breakout board decide how to configure the pullups before you solder it into place! I have added an option for a MPU9250+MS5637 board that mounts to the back pads of the Teensy 3.5 or 3.6. Teensy 3.1/2 has a different pin patter on the back pads than the Teensy 3.5/6. The add-on boards for the Teensy 3.1/2 and Teensy 3.5/6 are not interchangeable so make sure you order the right ones for your Teensy! This is another example of the modular Teensy 3.1 concept with small, special-purpose add-on boards or shields that can be mixed and matched for specific applications. I originally began the project because I got interested in 9 DoF sensor fusion and my studies showed that ARM processors are the minimum required to get the full potential from open-source sensor fusion filters. Additionally, I wanted to create a small, portable, and lightweight device for motor control with robotics and quadcopters in mind as the application. 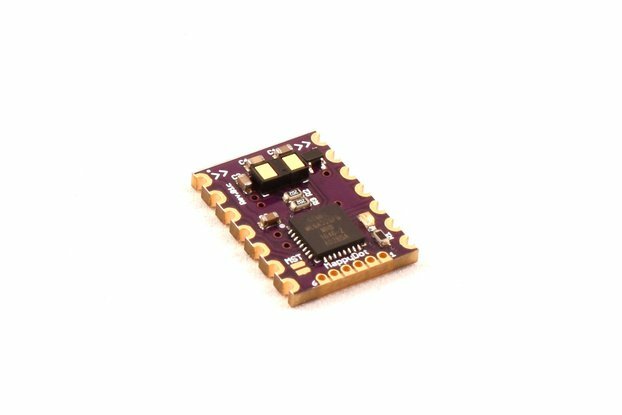 The Teensy 3.1 has powerful ARM M4 Cortex processing capability with an Arduino-like programming environment. That means it is powerful, easy to use, and relatively cheap; you can buy them from OSHPark.com for $17. That's a bargain. 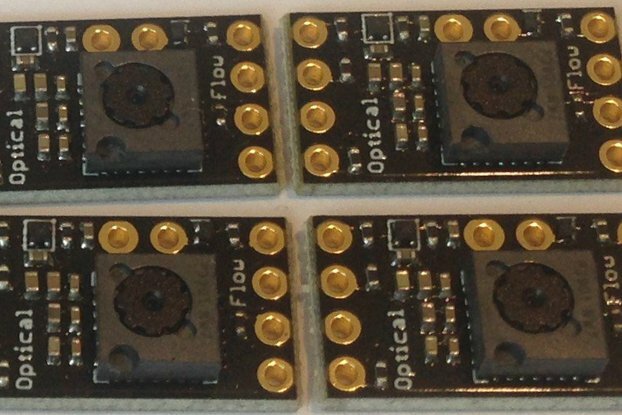 These are small boards specially designed to fit on the Teensy 3.1. I designed, built, and tested them myself, and I use them for all kind of motion sensing and motor control projects. My plan is to add additional capability as I can. 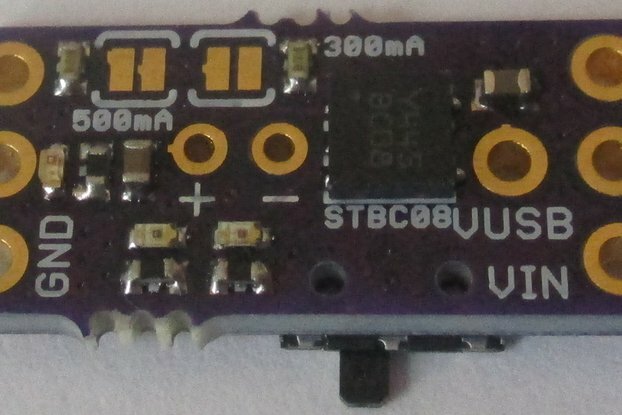 In addition to a variety of motion sensor solutions (this, for example), there is a modular Teensy add-on LiPo battery charger/power management board that connects to the first pair of three pins of the Teensy 3.1. There is an add-on board with dc motor control, one for gesture recognition, and will soon be boards with bluetooth smart (nRF51822), and RF radio (nRF24L01+). My goal is a small, portable (wearable), low-power device that can sense, communicate with, and control other devices in it's environment and last for weeks on a single battery charge. 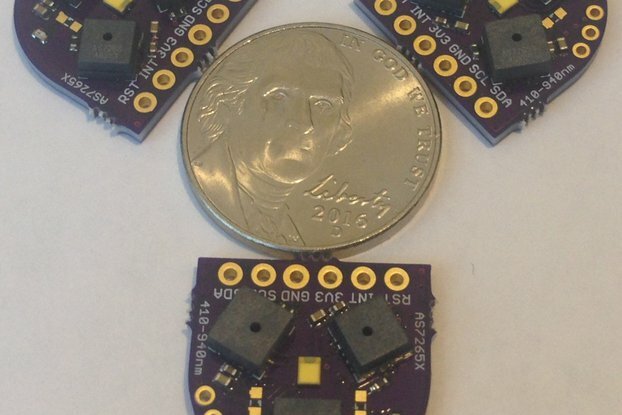 These small, high-resolution, low-power sensors make such a dream possible! Order the board from OSHPark and build one yourself, or buy one from me and see how it works for you. Open source means you have options; I provided everything you need to do it yourself. I even wrote a well-commented sketch that runs on the Teensy 3.1 that uses many of the capabilities of the motion sensor and all capabilities of the pressure sensor, does 9-axis sensor fusion, returns yaw, pitch, and roll, and quaternion absolute orientation, and is ready for your use here. 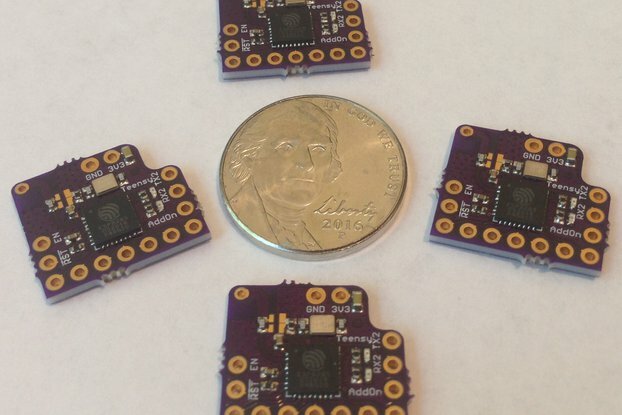 Teensy 3.1 is NOT included with your purchase, but you can buy one here. Change all wire to wire1 in the github-reposited sketches and the micro board should work the same as the mini board does. 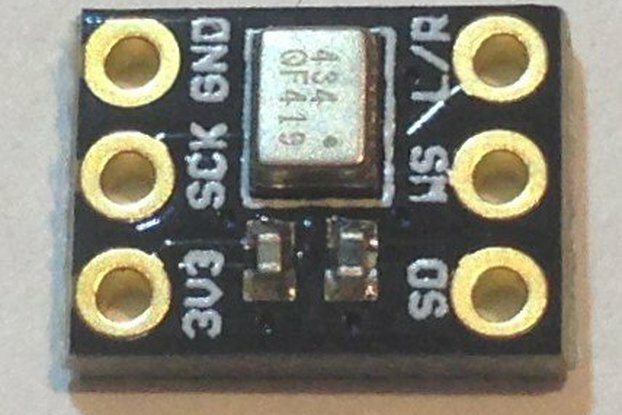 The micro board also breaks out I2C address ADO so you should either pull this pin LOW (recommended) to get I2C address 0x68 or HIGH to get 0x69. But you ought to choose one. Most of the time the device defaults to 0x68 but if left floating this can change unexpectedly! Lastly, do not solder pin 33! It isn't connected to anything on the board but it is best left unmolested lest you find your Teensy unresponsive because it has somehow entered the EZ boot mode. As always, contact me if you are still having trouble. One last thing, don't expect accurate heading with the open-source sensor fusion unless you take the trouble to calibrate the sensors, especially the magnetometer. See here for an explanation. Worked out of the box. Just ordered 2 more for a total of 4 that I now have for my various projects plus a spare. Documentation and examples are abundant on GitHub by the seller. The seller's support is great and responsive. A very powerful little teensy shield. The documentation and examples makes it easy to get started with it. The support from the seller has been very quick and helpful. It was shipped just hours before I made the order and reached me in Europe in less than a week. 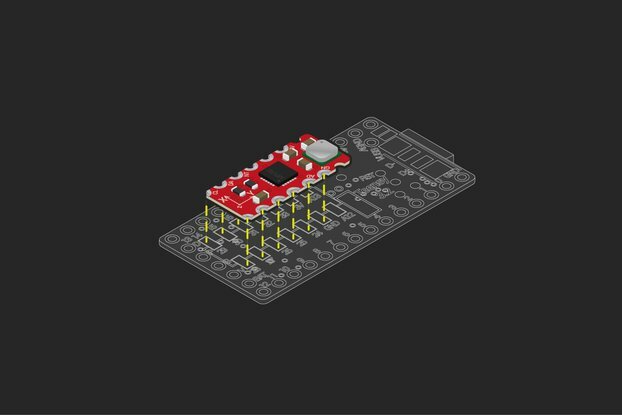 I've ordered a few of these MPU9250 add-on shields to experiment with, my ultimate aim being to build and program my own flight controller for a micro aerial vehicle. Like many other reviewers, I've been delighted with the experience: extremely fast shipping, product works as advertised, and near-immediate response from Kris when you have a question. When I messed up my Teensy board the first time with my noobie soldering skills, he even offered to solder the headers for me! (I was more careful the second time, and am now happily using the code Kris wrote for the shield.) Thanks to makers like Kris, I've become a devoted customer of Tindie, and I look forward to buying and using more of his inventions. Thanks for the kind words Simon! Customers like you keep me at it! I'm an impatient person and tend to not read directions. The MPU9250 arrived earlier today, I soldered it to the Teensy 3.2 ignoring all the I2C pin warnings listed here, made the appropriate changes to MPU9250BasicAHRC_t3.ino, and voila! It worked the first time. It is sooo tiny. Now I'm on to make it do something more interesting now that I know it is functional. Suggestion - solder this thing to a Teensy before soldering any headers to the Teensy. I had to unsolder all the headers which is a bear with the tools I have available. The micro is a great board. Pesky+Teensy are a nice combination. Awesome product! Even more awesome service! Kris promptly answered all my questions to help me decide which board is best for my application. My order arrived within a few days without a hitch. I ran into some issues testing out the example code (my fault, the code is great), and Kris debugged the issue for me right away. The product worked even better than advertised. Thank you Kris! The seller responded quickly to my questions and was generally very helpful. Will buy his products again. The help I received working through my problem was fantastic. It appeared that would be the case, that is why I bought from here. I was not disappointed in the least. Fast. Courteous. The problem was mine and they helped me find it. The boards is a perfect fit of the Teensy. My only gripe is the lack of solder jumpers to allow breadboarding. May be in the next design. Thanks for the kind words. Yes, I have started adding solder jumpers on almost all new designs to take power and ground from the board edge. I will have to add this feature to this board as well! Excellent product quality; very fast turnaround with economical shipping; very complete software for sensor interface and application with thorough documentation; excellent, knowledgeable follow-up - no customer issue is evidently too small. Definitely exceeded my expectations based on similar products, even from OEMs; I am ahead of schedule ! 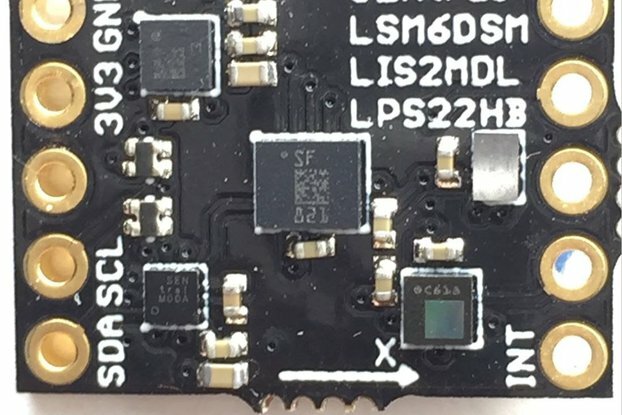 This review is for the MPU9250 Mini Shield; will also report on the LSM9DS0 Mini Shield when I assemble and test it. Thanks for the kind words Anthony. Let me know what I can do to help!